530-680-0002 Give Us a Call Any Time! Our goal is to enlist as many local veterinarians as possible in order to expand the clinics held at the Jesus Center. Please contact us for more information. 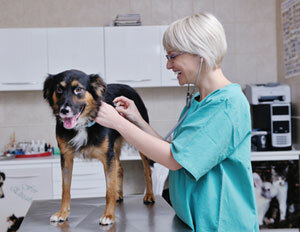 What are the responsibilities of a volunteer veterinarian? How do I become a volunteer veterinarian? If you are interested in learning more about this position or signing up to volunteer, please contact us. We are a documented 501(c)(3) organization. All of your donations are 100% tax deductible! Our goal is to give homeless animals in Chico a voice. Learn more about what we do by clicking on "About Us" at the top of the page. © 2019 Chico Homeless Animal Outreach. All rights reserved. This website is maintained by DK Web Design, LLC. It was originally donated by Chico Web Design.